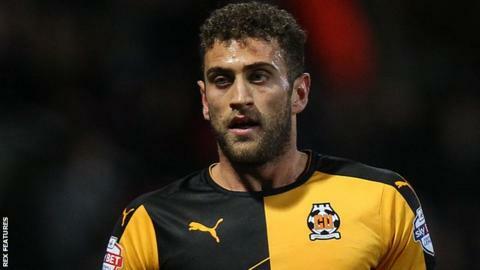 Cambridge United ended 10-man Yeovil Town's four-game winning run in League Two thanks to Ben Williamson's brace. The hosts were ahead within four minutes when Josh Coulson sent Harrison Dunk's cross towards Williamson, who fired home from close range. Yeovil had Liam Walsh dismissed after 10 minutes following an off-the-ball altercation with James Dunne. Dunk teed up Williamson to score again before the break, before James Spencer wrapped up three points late on. Match ends, Cambridge United 3, Yeovil Town 0. Second Half ends, Cambridge United 3, Yeovil Town 0. Corner, Yeovil Town. Conceded by Leon Legge. James Spencer (Cambridge United) hits the right post with a right footed shot from the right side of the six yard box. Josh Coulson (Cambridge United) wins a free kick in the defensive half. Corner, Yeovil Town. Conceded by Will Norris. Attempt saved. Jack Compton (Yeovil Town) left footed shot from outside the box is saved in the top centre of the goal. Goal! Cambridge United 3, Yeovil Town 0. James Spencer (Cambridge United) right footed shot from the centre of the box to the bottom left corner. Attempt saved. James Spencer (Cambridge United) header from the centre of the box is saved in the top centre of the goal. Attempt blocked. Jack Compton (Yeovil Town) right footed shot from the left side of the box is blocked. Ryan Bird (Yeovil Town) wins a free kick on the left wing. Attempt missed. Harrison Dunk (Cambridge United) right footed shot from the left side of the six yard box is too high. Darnell Furlong (Cambridge United) is shown the yellow card. Corner, Cambridge United. Conceded by Ben Tozer. Attempt saved. Jack Compton (Yeovil Town) right footed shot from outside the box is saved in the top centre of the goal. Substitution, Yeovil Town. Leroy Lita replaces Brandon Goodship. Corner, Cambridge United. Conceded by Artur Krysiak. Attempt saved. James Spencer (Cambridge United) left footed shot from outside the box is saved in the top right corner. Brandon Goodship (Yeovil Town) wins a free kick in the defensive half. Substitution, Yeovil Town. Jack Compton replaces Harry Cornick. Attempt blocked. Luke Berry (Cambridge United) right footed shot from outside the box is blocked. Ben Williamson (Cambridge United) wins a free kick on the left wing. Attempt missed. Brandon Goodship (Yeovil Town) right footed shot from the right side of the box is too high. Substitution, Cambridge United. James Spencer replaces James Dunne. Josh Coulson (Cambridge United) is shown the yellow card for a bad foul. James Dunne (Cambridge United) wins a free kick on the right wing.